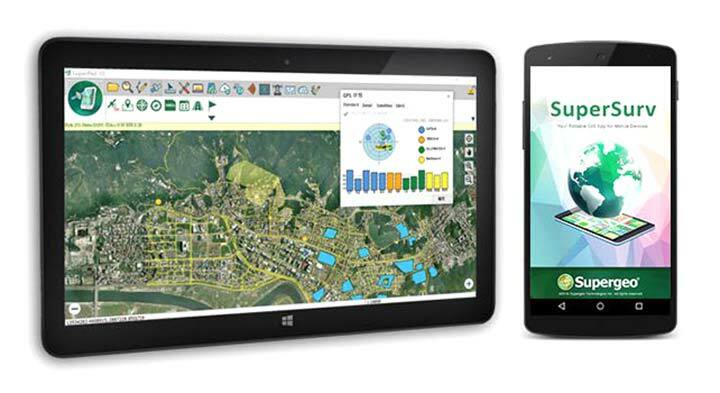 SuperSurv’s NTRIP solution is being enhanced to adopt more RTCM versions and provide a better GNSS positioning service. NTRIP (Networked Transport of RTCM via internet protocol) is a protocol to send GNSS-related data through the internet, which enables users of differential GPS or network real-time kinematic (RTK) to get correction parameters after connecting to the internet. 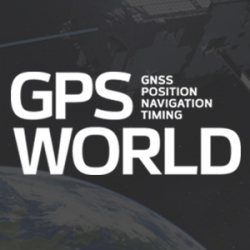 The correction parameters can be used to calculate a more accurate GNSS location. Supergeo’s product team is developing the support for RTCM 3.1, including Types 1021 and 1023. The scalable A222 GNSS smart antenna is designed for both agriculture and basic indicate systems markets, as well as other markets requiring flexible positioning. The smart antenna has the flexibility to scale and grow as business expands and can be configured from L1-only to multi-GNSS, multi-frequency and real-time kinematic (RTK). It adds a system component so that tractor and farm equipment manufacturers can deliver their own guidance and control solutions to their customers. Designed to excel in challenging environments, the A222 uses Hemisphere’s Athena RTK engine and is Atlas L-band capable. It is easy to mount and customizable. Its dual-serial, CAN and pulse output options are compatible with almost any industry-standard interface. Because the A222 is Atlas-capable, it has the ability to use the new Atlas AutoSeed technology. Atlas AutoSeed allows users to suspend Atlas use for any period, and upon returning to their last location, AutoSeed rapidly re-converges to a high-accuracy converged position. A222 comes pre-configured with Atlas Basic activated. Leveraging ubiquitous LTE signals, the Lite-Touch Architecture calculates positioning in the cloud to efficiently locate devices between indoor and outdoor environments. By offloading computation-heavy location calculations from the device to the cloud, the PoLTE positioning solution makes location positioning available to a wider variety of devices, including those constrained by battery life, memory, processing power, size and cost. This includes IoT-based applications that historically relied on GPS, with its high rate of power consumption, as well as Wi-Fi and Bluetooth with their added size, cost and network complexity. Enhancements to the SyncServer S600 series of time servers and instruments improve time synchronization over enterprise Ethernet networks and supply timing signals for improved military radar operations and satellite uplink communications. The SyncServer S600 series also meets the timing and synchronization needs of the rapidly evolving networks of enterprise and financial customers, particularly for compliance purposes such as the European MiFID II directive, which specifies highly stringent time accuracy requirements for stock trading systems. The latest release includes support for the IEEE 1588 multiport, multi-profile Precision Time Protocol (PTP), which allows the S600 to operate as an independent grandmaster clock on each Ethernet port — delivering cost savings and network deployment flexibility to customers. This is coupled with a new 10-GbE interface to easily interoperate with a wider variety of network and stock trading topologies. The HG4930 inertial measurement unit (IMU) is tailored for “straight-out-of-the-factory” integration and use in various non-defense and non-aerospace industrial applications including surveying and mapping, autonomous vehicles and gimbal stabilization. 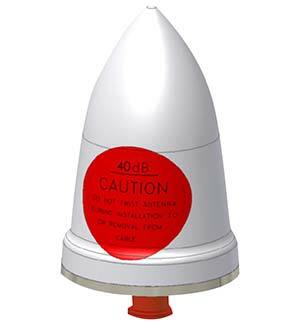 The HG4930 IMU is not classified under an International Traffic in Arms Regulation category; it is free from the burden of an export license for all but a few military-related use cases. The micro-electro-mechanical system (MEMS)-based IMU has been tailored to provide significantly improved gyroscope and accelerometer performance for the environments and use cases experienced by non-aerospace and non-defense users. The HX-DU2017D is a frequency-hopping OEM modem designed to provide strong anti-jamming and signal receiving capability for complex data-intensive applications. HX-DU2017D is a miniature, dual-frequency, software-selectable 840-MHz and 900-MHz data link modem. It provides power switching of 0.5 W, 1 W and 2 W; 20 ms/30 ms/40 ms/50 ms/ frequency-hopping intervals; and supports point-to-point, point-to-multipoint network. Its full duplex mode ensures secure data transferring and stable long-range communication. The HX-DU2017D also provides short latency of data transmission and communication recovery in millisecond level. 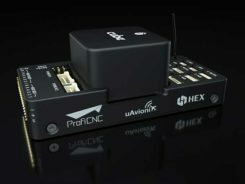 It allows fast and secure simultaneous data communication for mission-critical applications, especially in the fields of precision agriculture and UAVs, including unmanned plant surveys, UAV plant protection and automatic mowers. It could be placed on a UAV with its extremely small footprint for tight OEM integration and design flexibility. Meanwhile, its frequency-hopping transmission ensures UAV data security and flight stability. The Parrot Bebop-Pro Thermal is a compact quadcopter with two embedded cameras: a stabilized 14-megapixel high-definition front-facing video camera and a FLIR ONE Pro thermal camera. The thermal-imaging camera is positioned in a dedicated module at the back of the drone. Three thermal-imaging setting modes are available: Standard, Dynamic and Hotspot. The Parrot FreeFlight Thermal app innovatively transmits and analyzes images captured by the quadcopter’s cameras. Included is a long-range Parrot Skycontroller 2 remote control. Pergam gas sensor aboard the Microdrones md4-1000 UAV. The aerial methane detector mdTector1000 CH4 detects methane gas via a fully integrated aerial package. It has a Pergam gas sensor, mounted and integrated with the Microdrones md4-1000 UAV. In real time users can see aerial shots of detection with the laser sensor. The carbon-fiber-built UAV goes into dangerous areas unsuitable for workers. The mdTector1000 CH4 can be used for natural gas line surveys, tank inspections, gas well testing, plant safety and landfill emission monitoring. The mdCockpit Android app allows users to maintain visualization in flight. A special mdTector app allows users to visualize and present all post-flight data on one map. The Octopus UAV portable tracking antenna enables long-range data transmission and is suitable for unmanned and manned aircraft applications. It has a range of more than 100 kilometers and an integrated pointing algorithm. 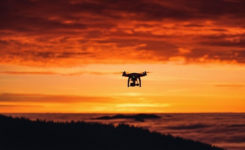 The GPS location of the aircraft is sent over the Airlink IP datalink and received directly by the tracking antenna, making it operational with any existing unmanned aircraft autopilot system. For a manned aircraft, an existing GPS receiver or dedicated GPS receiver can be used. The AsteRx-m2a UAS GNSS OEM engines provides precise and reliable multi-frequency, all-in-view real-time kinematic (RTK) positioning and heading — along with interference technology — with low power consumption. It features Septentrio’s AIM+ interference mitigation and monitoring system, which can suppress a wide variety of interferers. It is designed to bring high-precision positioning and attitude to any space-constrained application, offering a high update rate and low latency output. The AsteRx-m2a UAS provides plug-and-play compatibility for autopilot systems such as ArduPilot and Pixhawk. Event markers accurately synchronize camera shutter events with GNSS time. The board can be powered directly from the vehicle power bus via its wide-range input. It works seamlessly with GeoTagZ software, providing offline re-processed RTK accuracy without the need for either ground control points or a real-time datalink. The GPS-TMG-HR timing antennas are designed for Positive Train Control and railroad management, among other markets. They are equipped with high-rejection narrowband filtering to mitigate interference and provide 65-dB rejection of frequencies adjacent to L1 GPS. The GPS-TMG-HR maintains all features of PCTEL’s GPS timing reference platform. 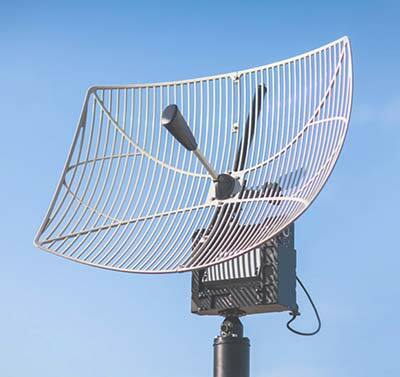 The antennas feature a 26-dB amplifier (GPS-TMG-HR-26N) and 40-dB amplifier (GPS-TMG-HR-40N ) and narrowband high rejection filtering to support long-lasting, trouble-free deployments in congested cell-site applications with severe interference around the GPS L1 frequency. The proprietary quadrifilar helix design, coupled with multi-stage filtering, provides superior out-of-band rejection and lower elevation pattern performance than traditional patch antennas. 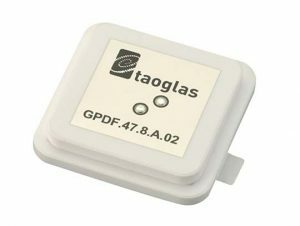 The GPDF.47.8.A.02 is a ceramic GPS L1/L2 / Galileo low-profile, low-axial ratio, embedded stacked passive patch antenna. It is 47.5 x 47.5 millimeters wide and 8 millimeters thick. It is designed for the highest accuracy centimeter-level tracking in telematics applications for positioning technologies. Typical applicable industries are transportation, defense, marine, agriculture and navigation. The Autonomy Development Platform provides automakers, truck makers and Tier 1 vehicle suppliers the hardware, software, engineering and integration services they need to accelerate development programs for on-road and off-road autonomous vehicles. By combining customized integration and engineering services with GNSS-inertial positioning technologies, the Autonomy Development Platform advances driverless vehicle development projects at every stage of development and commercialization. The platform delivers a navigation solution that is fully customizable and includes integration and engineering services, field-tested hardware and proprietary software for highly accurate positioning. The solution is capable of working with all sensors, including multiple cameras, lidar, radar and ultrasonic sensors, and with all vehicle types at all stages in the development and commercialization cycle. Also, the technology enables highly accurate assessments of the full 360-degree environment around a vehicle to produce a robust representation, including static and dynamic objects, which is critical for successful vehicle autonomy. TomTom AutoStream is a map delivery service for autonomous driving and advanced driver assistance systems. The service enables vehicles to build a horizon for the road ahead by streaming the latest map data from the TomTom cloud. TomTom AutoStream ensures that the TomTom map data used to power advanced driving functions is the latest, most accurate available, enabling a safer and more comfortable experience. The map-data stream can be customized based on criteria such as sensor configuration and horizon length. It can stream a wide variety of map data including advanced driver assistance systems (ADAS), attributes such as gradient and curvature, and the TomTom HD Map with RoadDNA. This flexibility allows customers to use AutoStream to power a wide range of driving automation functions.